Already two teasers of Anbanavan Asaradhavan Adangadhavan have been released, and the team is gearing up for one more teaser, which will feature Simbu in Ashwin Thatha getup. The film's director Adhik Ravichandran officially announced this news with his tweet, "#Ashwinthatha teaser comin on 18th wit lot of hardwork & many surprises @iam_str #Ashwinthathavarar @tamannaahspeaks @thisisysr #sirappu". 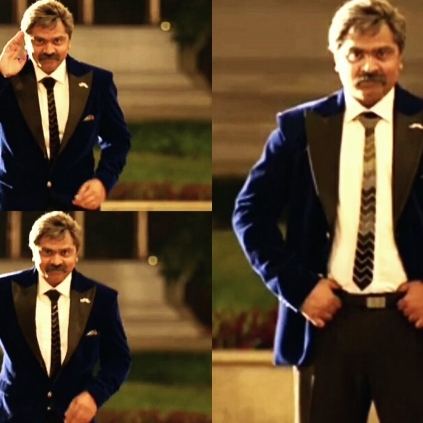 We had earlier seen the Ashwin Thatha preview teaser. Now it is time for the main teaser to arrive. A moment to celebrate for Simbu fans! Baahubali:The Conclusion, 15 M so soon!!!! People looking for online information on Anbanavan Asaradhavan Adangadhavan, Simbu will find this news story useful.